I'll be leading a week on my 'Gorillas and Savannahs Safari', including 2 incredible days trekking with the mountain gorillas, with 3 nights based at the cosy, community-owned, award-winning Sabyinyo Silverback Lodge in the Virunga Mountains, an experience you will never forget. Just ask some of my groups who joined me on my gorilla treks in Rwanda last year what they thought of this experience; let me say there were tears of joy, and for each one of us, there was a sense that we were experiencing something truly unforgetable and magical. 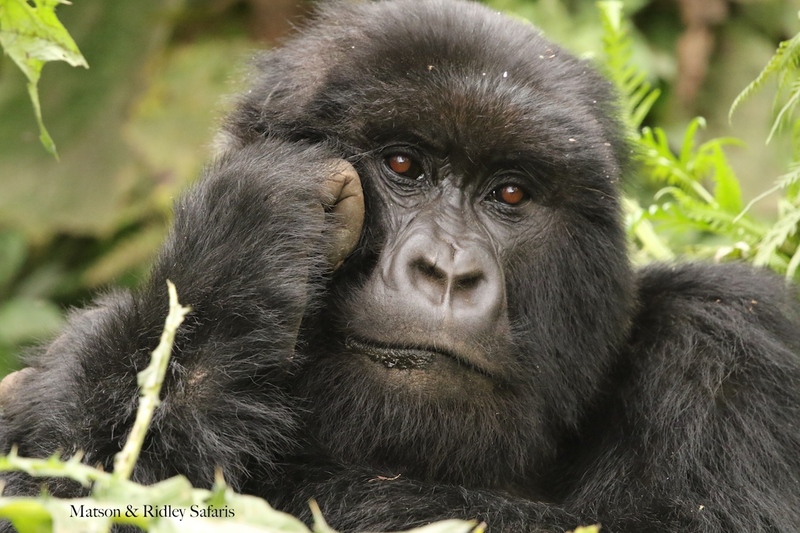 Read more about last year's gorilla treks here. 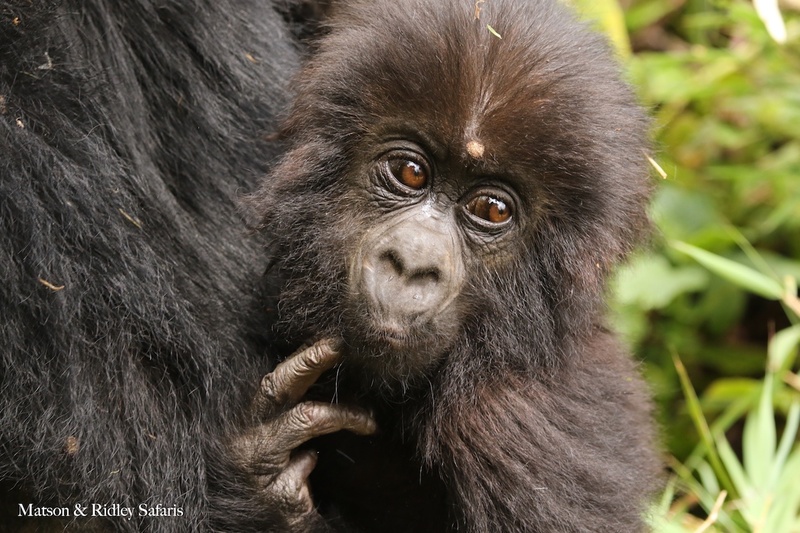 Sabyinyo was set up to support local gorilla conservation through community development in tourism, in partnership with the African Wildlife Foundation, and you can visit the local village while you are there to see the impacts your tourist dollars are having. Of course, your gorilla experience will speak for itself; the mountain gorilla population is increasing directly because of highly effective tourism supported by lodges like Sabyinyo. On this safari we'll also spend 3 nights at Wilderness Safaris' new six-tented Magashi Camp in the savannahs of northern Akagera National Park, Rwanda's only 'Big 5' park. At Magashi, you have a chance to see the recently reintroduced lions and black rhinos and learn more about the hugely productive conservation partnership between the Rwandan Development Board and African Parks that is bringing Akagera's lake-fringed plains and woodlands back to life, now supported by Wilderness Safaris new safari camp. This is true conservation in action! There are lots of good reasons to visit northern Akagera's magnificent grasslands, and these include the chance to see the shoebill stork with its implausibly large bill, and the rare sitatunga, one of my favourites (I've only spotted one once on all my safaris in the Okavango Delta while on a mokoro in the wetlands). 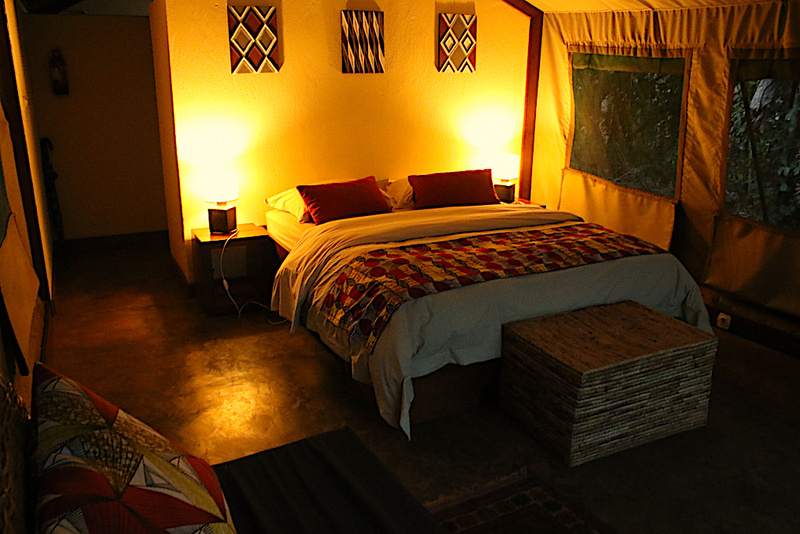 By staying at Magashi, you're directly supporting the management of the park itself as Wilderness Safaris operates in partnership with African Parks, who financially benefit from every night you pay for. There is excellent guided walking, drives and even night drives at Magashi, something not offered in most national parks. The great news for those looking to save a buck or two is that we're going in low season during December 2019, which means gorilla permits are 30% cheaper than if you go in high season, and of course accommodation is also less crowded and less expensive than if you go mid-year. It's still a great time to be in Rwanda (mostly dry with nice weather), but just avoids the crowds visiting East Africa for the Great Migration between July and October. Prior to my 6 night group safari in Rwanda, you have the option to join me on a week of elephant conservation work in southern Akagera National Park, based at the quaint Ruzizi Tented Lodge, overlooking Lake Ihema. The dawn chorus at this camp is something to behold, between the hundreds of bird species congregating near the lake shore, the hippos and the vervet monkeys! In addition to helping me collect vital data for the first time on Akagera's 100 elephants, introduced as orphans of a cull in 1975, you'll also participate in activities arranged by African Parks, such as walking the fence line to check for breaks with rangers, sunset boat rides, community visits and night drives. 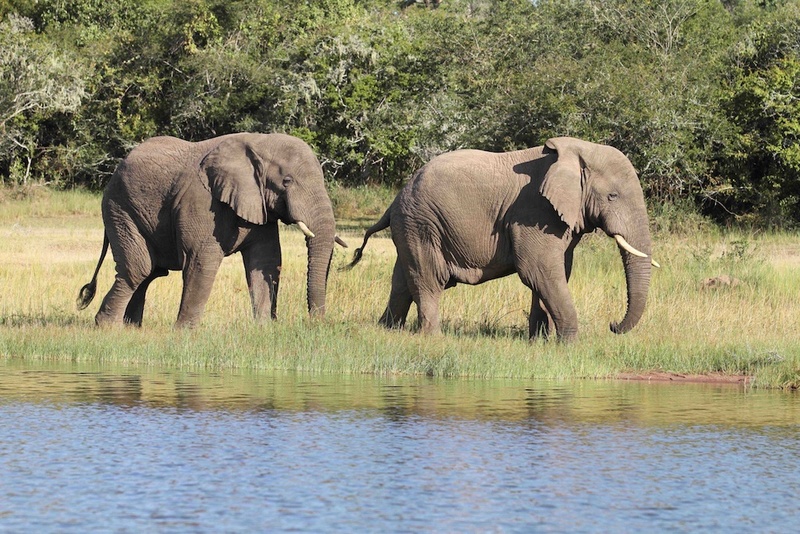 Learn more about the Akagera Elephant Project here. Akagera isn't the Serengeti; in terms of wildlife densities, it doesn't have anywhere near the high density you'll see in East Africa's most famous park. But by coming to this park, you'll see more than enough wildlife to keep a nature lover very happy and you'll be directly supporting conservation as all profits from Ruzizi Lodge and the African Parks activities go to the running of the park itself and the rebuilding of Rwanda's premier Big 5 wildlife protected area. You'll also be a funder of the Akagera Elephant Project, as well as a participant, as all who join my groups on this project are literally enabling it to happen. Holidays don't get much more impactful - in a good way! 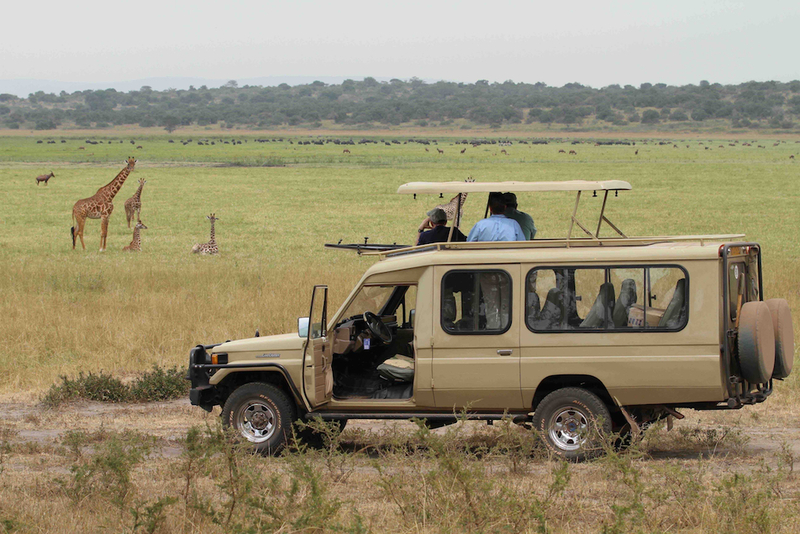 From Rwanda, you can easily catch a short flight to Nairobi or Kilimanjaro to go and explore famous game reserves like the Masai Mara and the Serengeti, so if you do want to extend your trip, please do talk to me about some great options. 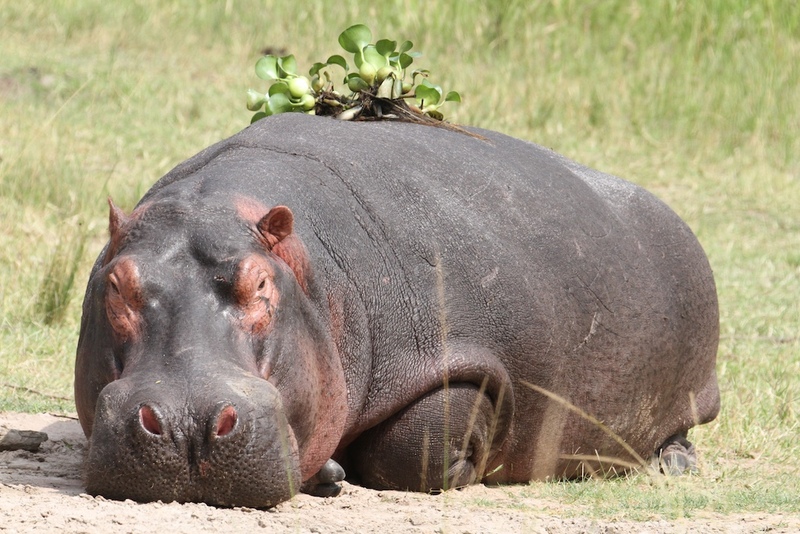 We specialise in the most ethical safaris available and we have yet to disappoint with the safaris we offer! Rwanda is really the up and coming safari destination of Africa, with tourism growth having doubled between 2010 and 2016. Read more here. My advice is get in now before the crowds discover it! So if you're thinking of a truly grand adventure that gives back to conservation in a big way, get in touch with me now to confirm your place. Both the Akagera Elephant Project and my guided safari "Gorillas and Savannahs" are already half full for 2019, and numbers are limited to 12 people. If you've already indicated your interest, I'll be getting in touch to request your 20% deposit in the next month.